Workwear, uniforms — what’s the difference? 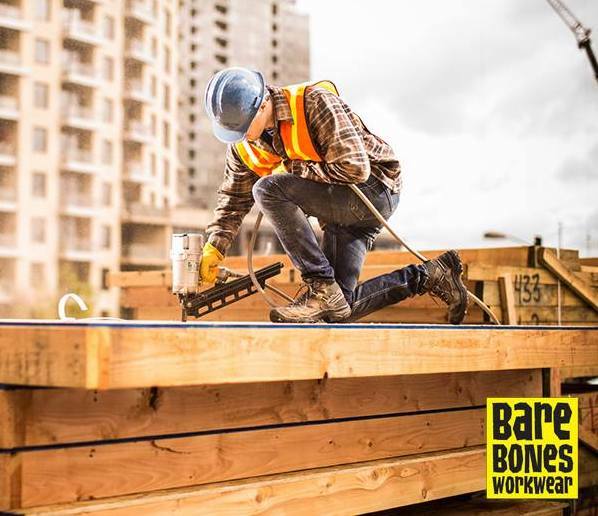 At BareBones WorkWear®, we’ve developed a comprehensive franchise model that helps owners satisfy an often-overlooked product demand. While shoppers tend to know about uniform stores, they may be less familiar with workwear franchise concepts like ours. With that in mind, our apparel business for sale equips owners to educate communities on the function and value of workwear. Here are just a few ways that our clothing franchise opportunity does the work of demystifying workwear. At first glance, it’s easy for customers to confuse our workwear franchise brand with a uniform store. After all, our apparel business for sale does serve those who require special clothing or gear for their jobs. However, workwear differs from a function standpoint, and BareBones’ workwear business model is far more encompassing. Unlike a uniform store, which specializes in postal gear and tactical gear for law enforcement officials, we carry several types of apparel to equip professionals in multiple industries. Our inventory consists of more than standard workwear and serves more than one demographic. It is a versatile collection of safety gear, accessories, and footwear. We are ambassadors for brands like Carhartt, Dickies, Timberland Pro, 5.11, Keen, Ariat, Danner, Cherokee, Koi and more. One high performance, wicking shirt at BareBones WorkWear® can serve an electrician or a plumber, along with hundreds of other professionals. Retail clerks, warehouse employees, truckers and other blue collar workers might be surprised to discover our workwear franchise stores carry slip-resistant footwear that will support their feet just as well as they support those of restaurant workers. Franchisees choose to invest in our apparel business for sale because we excel in framing our products to the market. We know how dynamic workwear can be, and we do our best to educate the public on the value and versatility of our products. That trickles down to stellar and comprehensive marketing support on a local and national scale, in addition to in-store initiatives, social media assistance and other tools to help franchisees establish a strong and authoritative presence. What we wear on the job plays a vital role in how we perform. A 2012 study conducted by Columbia Business School revealed that when people wear certain clothes, particularly uniforms, they assume the characteristics associated with them — a phenomenon they labeled “enclothed cognition.” Our clothing franchise opportunity prepares owner-operators to help customers master self-confidence in the field. Durable, well-fitting workwear can motivate professionals to approach each job with authority. Knowing their apparel is safe and reliable allows them to move forward on the job without any added hindrances. BareBones WorkWear® franchise owners work hard to instill this confidence in customers with a carefully curated inventory and personalized special orders and services like embroidery. At the same time, quality workwear helps companies promote the spirit and integrity of their brand. A technician who shows up donning crisp and clean apparel gives off an air of diligence, sophistication and presence. He or she is more equipped to serve as a polished company representative. In turn, clients are more apt to believe this technician will approach the job with an equal regard for detail and professionalism. By providing quality workwear at affordable costs, our workwear business for sale supports companies and their teams in their branding efforts.